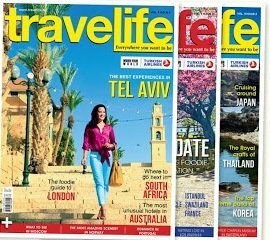 Travelife Magazine, the leading travel and lifestyle publication in Southeast Asia, is a member of the Israel Chamber of Commerce of the Philippines (ICCP). The magazine is widely distributed in the region; travelers can find a copy of it in numerous in-flight and airport libraries. 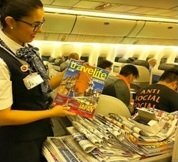 It is also one of the most visible magazines online and on social media, giving its readers and viewers a chance to “experience” different destinations in the comfort of their airplane seat or while waiting to board. Travelife Magazine is also useful for first-time travelers or those looking for tips. It provides practical information, warnings, and guides for a worry-free and wonderful trip. Such information includes travel rules in particular countries/regions, advice on how to act or what to do in certain areas, urgent travel news, and travel advisories. Travelife Magazine explores the unknown and best kept secrets of exotic countries. It features bars and restaurants, luxury hotels, world-class airlines, and the latest popular resorts. It shares the most wonderful itineraries from well-traveled contributors and readers, as well. In the last quarter of 2016 alone, the Travelife Staff explored Bangkok, Shuzenji, Casablanca, Hokkaido, Hong Kong, Singapore, Istanbul, Jerusalem, Marrakech, Moscow, Rabat, St. Petersburg, Tallinn, Doha, Estonia, Tel Aviv, and Tokyo. The magazine reviews and curates important historical sites, museums, natural wonders, places of reverence and worship, libraries, and various services and world favourites that a place could offer. Travelife Magazine updates its website and social media accounts regularly and as events happen. Its old issues are archived here. Its Facebook page Facebook.com/TravelifeOnline has more than 320,000 followers and 1.7 million unique hits, making it the most followed travel and lifestyle magazine in Asia. Living Asia Channel is the home of Travelife’s 30-minute travel and lifestyle show. 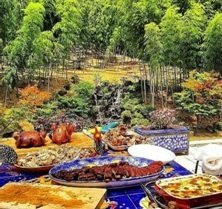 The show’s segments are based on the magazine articles and feature stunning scenes and events the Travelife Staff visited. People can watch the show on the following channels: Dream Satellite Ch. 11, Cignal Ch. 29, Destiny Ch. 88, Sky Cable Ch. 99, Sun Cable Ch. 99, and Across Asia-Pacific on Koreasat 5. The magazine is available in almost any bookstore, magazine stand, and airport terminal Asia-wide. Visit their website at http://travelife.biz or pay them a visit at Tridem-Asia Publishing, Inc., Suite 201, 2/F Alexander House, 132 Amorsolo Street, Legazpi Village, Makati City, 1229, Philippines. You may also reach them via their hotline at (63) 8138400 / 892-2620 or email [email protected].